Calling all heroes. 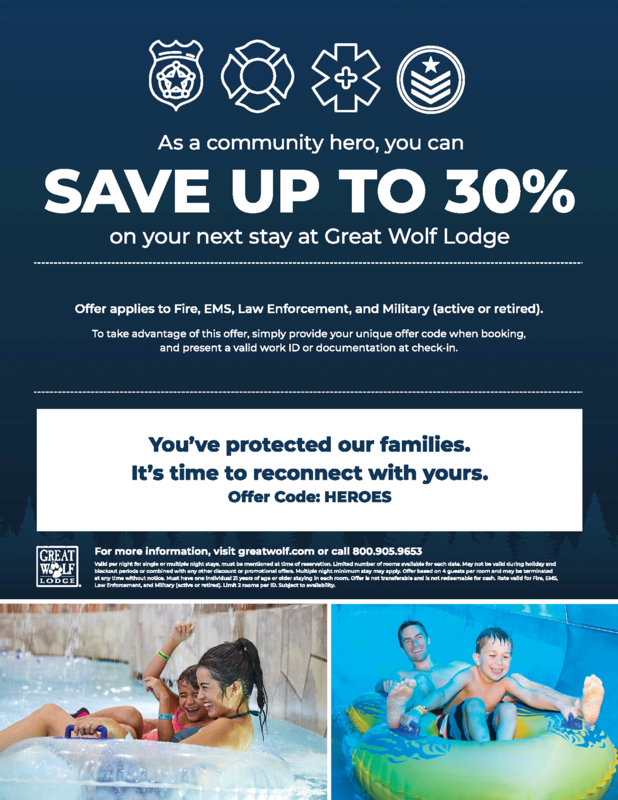 We’re proud to offer our Howling Heroes discount exclusively to military (active, retired and veteran), fire, emergency medical service personnel, 911 dispatchers, police and correctional officers. A valid ID must be present at check-in for promotion to apply. The qualified person (s) must be present. Enjoy exclusive savings today! For more package information, visit: our website.